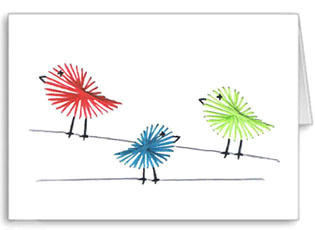 A bright, attractive hand made card of three birds, that would be perfect to give for most occasions. This card has been stitched in red, green and blue, but you could use any colour of your choice. Card making is great fun, why not try it.